Back in the 1970’s, the glycemic index (GI) was developed to help diabetics understand the effect of different carbohydrates on blood sugar levels. Then, in the late 90’s and early 2000’s, GI started to become quite popular and appeared in a number of nutrition books and articles. While often over-reacted to, the GI and the newer Glycemic Load both have some good implications for health and body composition. For example, if the food that was eaten raised blood sugar 60% of the rise that the standard caused, it would be given a number 60 on the GI. Less than 55 is considered low, 56-69 is medium, and anything over 70 is considered high. The problem with the GI is that we don’t eat all our food in portions that have 50g of carbohydrates. Here is an exampled I learned from Dr. Jonny Bowden: many people (myself included) overreacted when we first saw that carrots rank very high on the GI. The reality is that if you have 50g of carbohydrates worth of carrots (e.g. a big glass of carrot juice), it will shoot your glucose levels through the roof! 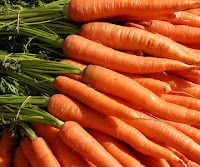 However, the average medium-sized raw carrot has only 6g of carbs and therefore minimal impact on blood glucose levels. Finally, I was free eat those nutrient rich carrots again! Foods with the GL of 10 or less would be considered low, food scored at 11 to 19 be considered medium, and foods over 20 would be considered high. Examples of low GL foods include: fibrous vegetables, most fruits, beans and legumes. 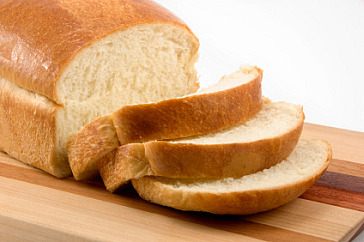 Examples of medium GL foods include: many whole grain products. Examples of high GL foods include: baked potatoes, most breakfast cereals, white flour-based products, dried fruit (e.g. raisins & dates) and most junk foods. To find a great list of GL or GI ratings, check out the following website. 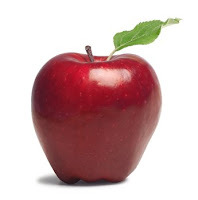 To search for a specific food, go to the following website and click on the GI database. Remember that the protein, fat and fibre that is often eaten with the carbohydrate food will slow the digestion rate of carbohydrates and thus lower the GL of the food. Most people want to get or at least stay lean. One very important part of getting lean is the hormone insulin. Among its many functions, insulin acts as a storage hormone. If insulin levels are high, the body is more likely to store fat. If you can keep insulin levels low, you are well on your way to leanness. 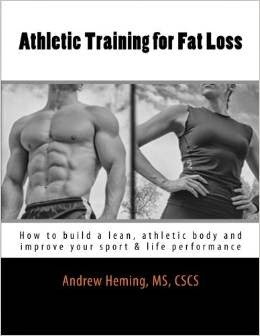 Many individuals tying to lose body fat mistakenly choose low fat products (e.g. corn flakes) which have a very high GL and thus hinder their fat loss efforts. High GL foods also spike blood sugar and then leave one very hungry and craving sugar. Instead, these individuals should emphasize low GL carbohydrate foods. From a health standpoint, keeping insulin levels low helps prevent type II diabetes and related health problems. Individuals seeking to improve their health should, as with fat loss, emphasize low GL foods. Remember that even the Canada Food Guide is now recommending that vegetables and fruits (not grains) make up the largest part of one’s daily food intake. Performance-focused individuals should avoid foods with a high GL prior to exercise as they can cause a spike and then crash in blood sugar levels (note: some people will be more sensitive to this than others and many will benefit from an insulin spike immediately before training). Pre-game or pre-exercise meals should be low GL. After intense exercise, performance-orientated individuals will have lowered their glycogen stores. During this post-exercise period, the body is very good at re-synthesizing glycogen if given the opportunity. Ingesting low fat protein and high GL carbohydrates is an effective way to replenish glycogen stores and improve recovery for the next intense bout of physical activity. (Note: for the sake of health, choose healthier GL foods such as baked potatoes over unhealthy such as jelly beans). Those trying to gain lean muscle should also be aware that insulin has powerful anabolic properties. While having insulin high all the time is a bad idea for health and body composition reasons, raising insulin for the first few hours (high GL after training and then moderate for the next 1-2 meals) after training can also enhance protein synthesis. Do not get carried away with the GL and ignore other important aspects of proper nutrition. There are unhealthy foods that have a low GL. Beavers, KM & Leutholtz, B. Glycemic load food guide pyramid for athletic performance. Strength and Conditioning Journal. 30(3); 2008. Gustafson, RP. The glycemic index and weight control. Strength and Conditioning Journal. 30(3); 2008. Ivy, J., & Portman, R. Nutrient Timing. North Bergen, NJ: Basic Health Publications; 2004.